Looking for a more efficient diet plan? Limit your margin of error by avoiding these common mistakes. You&apos;re one of those people who consider calorie counting a workout must. You might be a foodie at heart but, when it comes to clean eating, you&apos;re the first to grab the scale and measuring cup. You weigh out all your meals, check and double-check serving size, and always have your food journal handy. Still, you&apos;re not seeing the results you want. So what are you doing wrong? For many people, calorie counting seems simple enough. Eat more if you want to build muscle, scale back if you want to burn fat, track your calories using some sort of app, and that&apos;s the end of it. But is it really that simple? 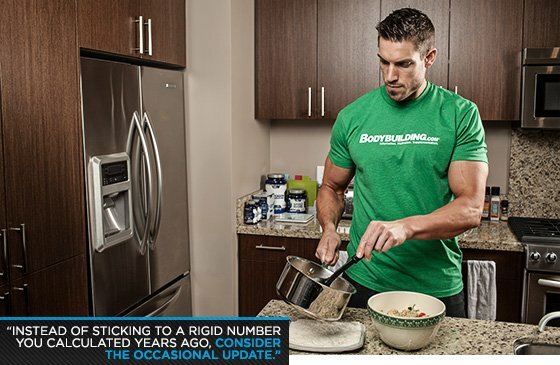 Whether your goal is to build muscle or burn fat, calorie counting correctly is key. Without it, you have no way of ensuring that you&apos;re getting—and burning—what you think. Whether you need to revamp your eating habits or just brush up on your counting method, here are five common missteps to keep in mind before mealtime. You update your gear, tread through multiple pairs of sneakers a year, and even change your go-to protein powder from time to time. So why not treat calorie counting the same way? Instead of sticking to a rigid number you calculated years ago, consider the occasional update. You don&apos;t need to recalculate your goals on a daily or even weekly basis. Just remember that since almost all formulas base their calculations off of body weight, gaining muscle mass or losing fat will cause your daily calorie expenditure to change. Losing 20 or more pounds will have a fairly significant impact on your total daily calorie expenditure and, if you aren&apos;t using that large of a caloric deficit to start with, the difference could be enough to nearly wash out the results that you were seeing. A good rule of thumb is to weigh yourself and aim for an update after every 15-20 pounds you shed. If you suddenly plateau, take a few days off to ensure that your low-calorie diet hasn&apos;t caused your metabolism to slow down. Formulas are great, but they&apos;re not foolproof. Before you base your entire diet on one golden number, remember that calorie requirement equations are only estimates. They can be off by as much as 20 percent in either direction, leaving a large margin of error in your daily burn stats. It might sound simple, but learn to rely on your instincts—and your eyes. Constantly assess the results you&apos;re seeing. If you notice you&apos;re still carrying around a bit of that spare tire or your biceps seem deflated after weeks of curls, adjust your intake. This allows you to better tweak your diet. After all, seeing is believing. When it comes to tracking your numbers trust man, not machine. Relying on a treadmill, elliptical, or stair stepper to reach that 500-calorie goal might sound good in theory, but it isn&apos;t the best practice. In fact, it can throw off your burn by as much as 30 percent. Instead of trudging along on the treadmill, your desire for a bagel with cream cheese growing with every step, remember that what&apos;s more important is how many calories your workout causes you to burn after the session is over, not how many you burn during it. Revving up the intensity—and forcing your body to work harder by trading in a weekend jog for high-speed interval runs—has been shown to set the afterburn effect in motion. Still, "slow and steady" has its place. According to a study published in the Journal of Sports Sciences in 2011, slow pace, low-intensity resistance exercises create greater energy expenditure than high-intensity resistance exercises performed at a normal pace. 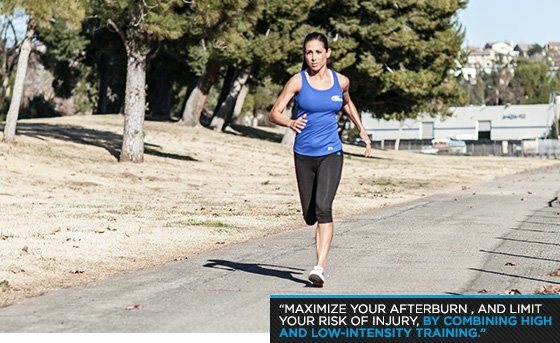 Maximize your afterburn, and limit your risk of injury, by combining high and low-intensity training. Focus on getting stronger part of the time, and the rest of the time, throw yourself into metabolism-enhancing workout sessions. This where real results will be found. Portion distortion isn&apos;t just limited to junk food. 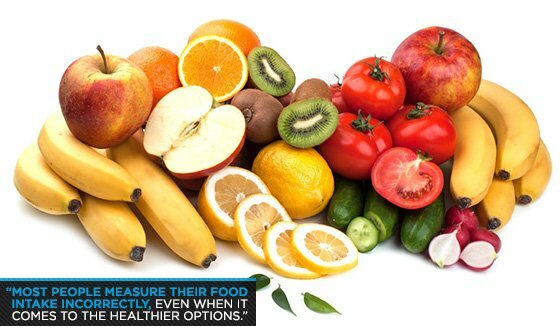 Most people measure their food intake incorrectly, even when it comes to the healthier options. Instead of eyeballing that oatmeal or estimating the size of that cup of fruit salad—which in reality is closer to three—try measuring out your food for a while. Perfect portion size by measuring your meals with a good food scale or set of measuring spoons and cups. Ironically enough, most people have a strong tendency to underestimate their serving size when it comes to calorie-dense foods like meats, grains, and fats, while overestimating their serving sizes when it comes to vegetables. For instance, when it comes to fruit, keeping in mind that a "serving" is approximately 80 calories or one small whole fruit. Did you know that? Gorging on natural sugars while missing out on essential nutrients from other food groups can leave you with a deficit. Whether you have a fast metabolism, are carved out of pure muscle, or store every calorie you consume, your daily intake should be tailored to your needs. Since calorie estimation equations are based on the average individual, they don&apos;t take into account the extreme ends of the spectrum. Remember that there are three main body types—ectomorphs, endomorphs, and mesomorphs—and each one has a slightly different calorie-burning tendency. If you&apos;re a significant mesomorph with a naturally fit build and a very high degree of lean muscle mass, equations will underestimate your needs. Just as a BMI chart can confuse your muscle mass for fat, a calorie estimation equation is likely to mark you as obese and restrict your intake. Stick to a healthy diet and engage in aerobic activity to maintain your muscular build. On the other hand, if you&apos;re an ectomorph with a metabolism that seems to chase your food intake, you&apos;re more likely to need more calories than what the typical equation suggests. Add at least another 300-500 if you&apos;re aiming to build muscle mass. Finally, the endomorphs who tend to pack on body fat with ease should consider that magic number an overestimation. Don&apos;t restrict calories too quickly, but keep in mind that the quantity that a website spits out may be a little on the high side. If progress is slow to start, make adjustments.